March 2014 marked the 95th birthday of G.E.M. ANSCOMBE (1919–2001), one of the twentieth century’s most provocative and highly regarded philosophers. Anscombe is known for challeng- ing received philosophical views, and some commentators have regarded her as the greatest woman philosopher of all time. 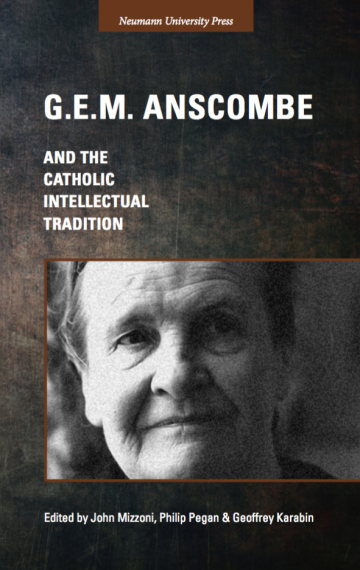 The papers in this volume address the question: What are Anscombe’s contributions—actual and potential—to the Catholic intellectual tradition? Contributors work with this question through an exploration of a wide range of themes from Anscombe’s work, including person- hood, the soul, the will, and the doctrine of double effect, among other topics. Some papers explore how her Catholic faith influenced her approach to philosophy and how her faith in uenced the types of philosophical issues with which she dealt. The volume has four parts: (1) Introduction, (2) Anscombe and Catholic Moral Theory, (3) Anscombe and Double Effect, (4) Anscombe on Embryos, Souls, and Persons. Ultimately, all of the contributors to this volume are in agreement that Anscombe has indeed made a lasting impact not only on phi- losophy, but also on the Catholic intellectual tradition, broadly construed.